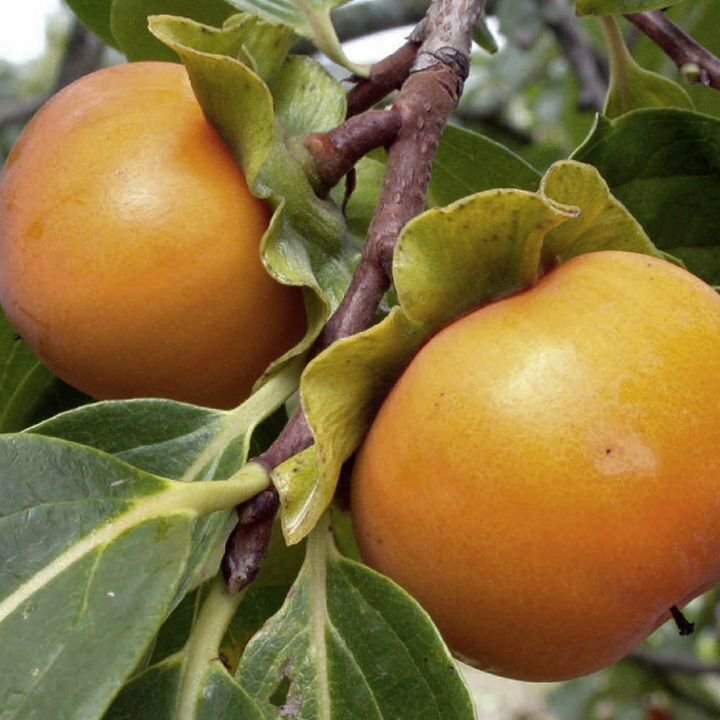 Within the persimmon group there are various variety names which are sometimes used interchangeably. And which may also cause some confusion. Two categories can be distinguished: with our without tannin (tannic acid). Tannin gives the fruit a sour taste which only goes away when the fruit is completely ripe and soft. The seeds in the fruit release a substance which breaks the tannins down. If the fruit is soft and the peel is a bit glassy, then it is ripe and the tannins have vanished completely. The most renowned varieties are Sharon and Kaki. 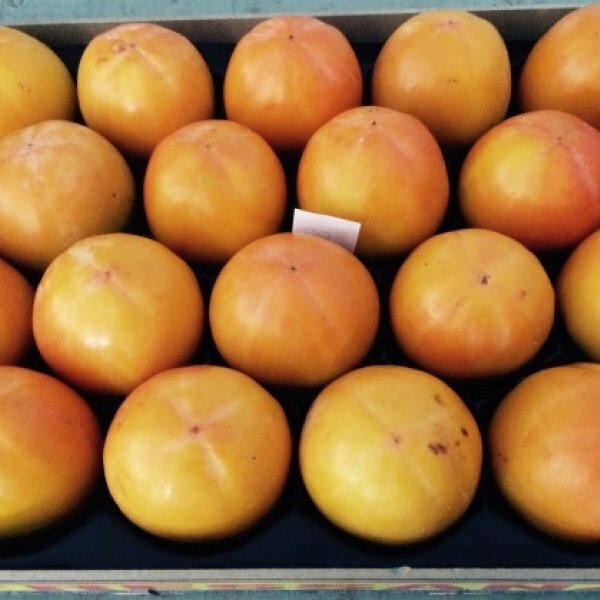 In addition Special Fruit also imports Fuyu from Brazil and Triumph (a Sharon variety) from South Africa. 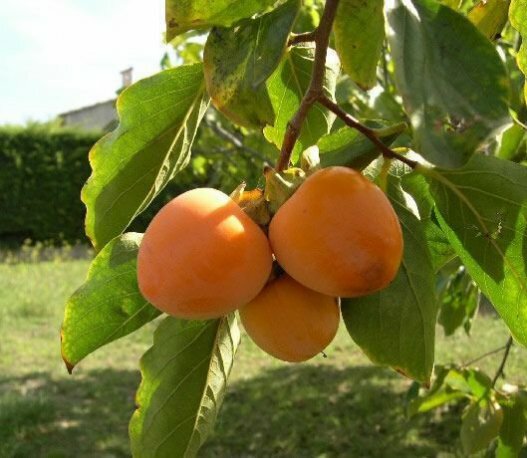 The old varieties of kaki contain a very high concentration of tannin while hard, even after they have coloured orange-red, which gives them an especially wry taste. 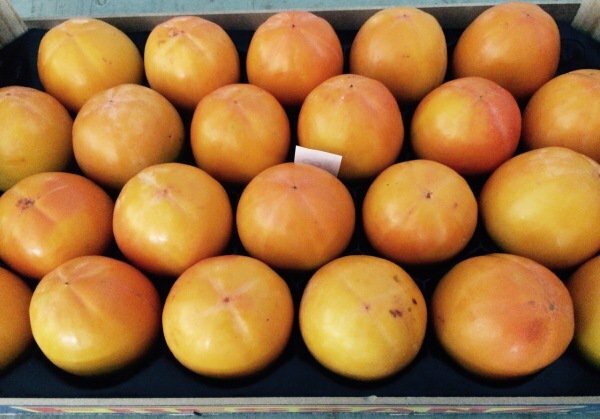 The new variety Rojo Brillante from Spain ripens much faster and remains firm (which gives it a longer shelf-life). In addition, it has no seeds and a deliciously sweet taste. 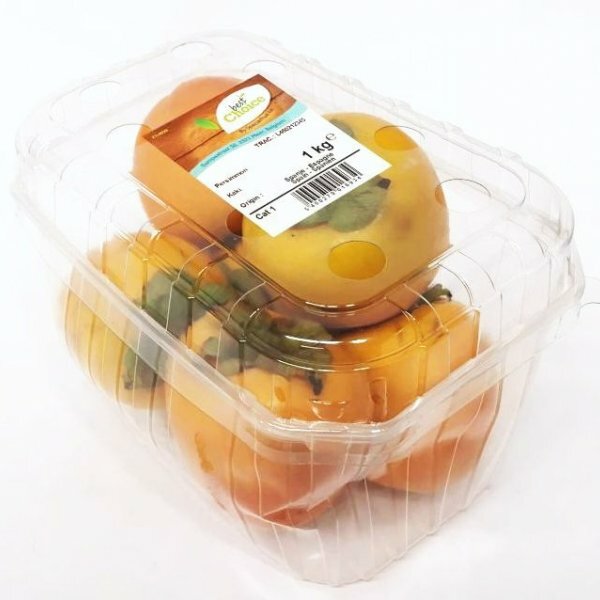 Once ripe they keep another 2 weeks if kept refrigerated below 5 degrees. 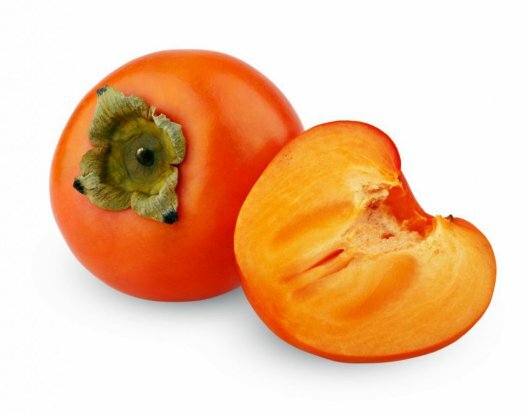 Sharon is a cultivated variety of the kaki. Sharon does not contain any tannin and (almost) no pits. The shape of the Sharon is flatter than the Kaki, which is more oblong. Sharon is ethylene sensitive and ripens faster in the vicinity of an apple! 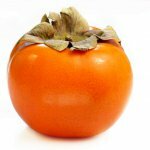 The Fuyu from Brazil is a variety without tannic acid which, when ripe, has an orange to red-orange colour and a wonderful sweet taste. After harvesting the fruit stays firm for 2 to 3 weeks. Room temperature causes it to gradually soften. The softer, the sweeter also applies here. The fruit of the Triumph variety from South Africa is mostly seedless and the pulp of the ripe fruit is a lighter shade of orange than the other varieties. At home: let them ripen in the fruit bowl. 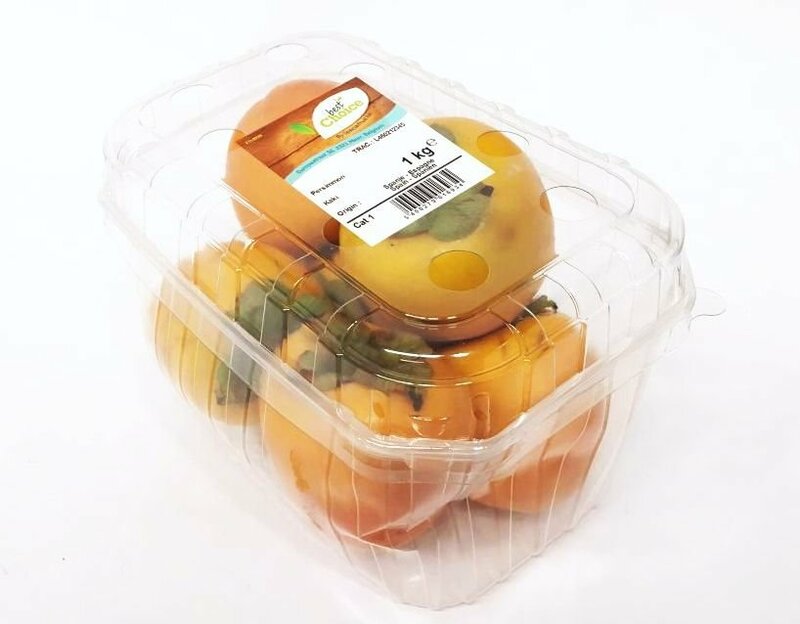 Ripe Sharon fruits will keep for several days to a week when refrigerated. 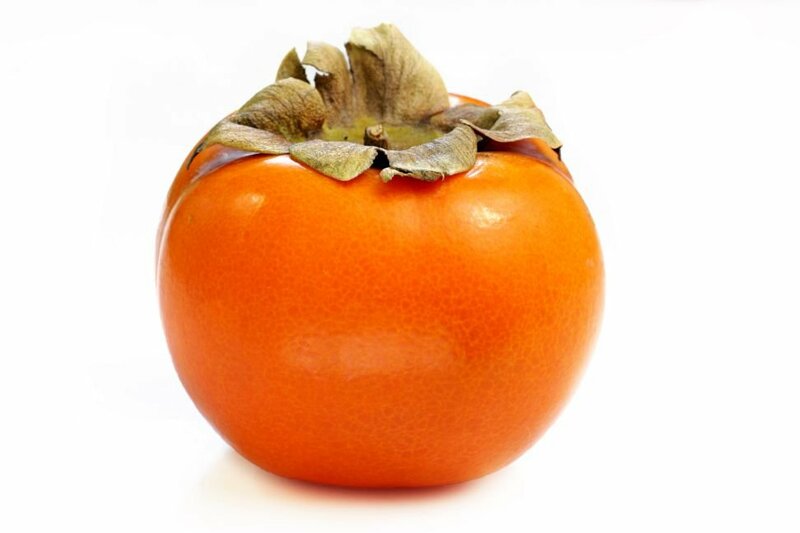 Persimmon is ripe once its colour is an appealing smooth orange. Even when overdue (glassy), they are still very tasty! The taste resembles that of apricots. This sweet fruit lends itself well for all kinds of salads, with yoghurt, in juices, sauces, pies, etc. Sharon can be consumed with the skin, as can the Rojo Brillante kaki, while the other persimmon breeds cannot. It can also be cut in half and eaten with a spoon like a kiwi. The seeds are not edible! Persimmon which is not too ripe can be diced in cubes and fried in olive oil with some thyme. Makes a delicious salad with some lettuce and goat’s cheese! Dice and fry in olive oil with some thyme and add to a salad (with goat’s cheese). Cut the avocado in half. Remove and discard the seed. Scoop the flesh out into a bowl. Add the goat cheese, lime juice and salt. Lightly mash with a fork. 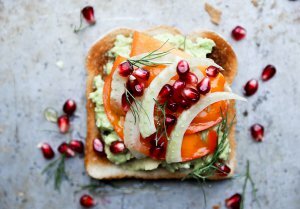 Spread the mashed avocado out onto the toast, dividing it evenly between the two slices. 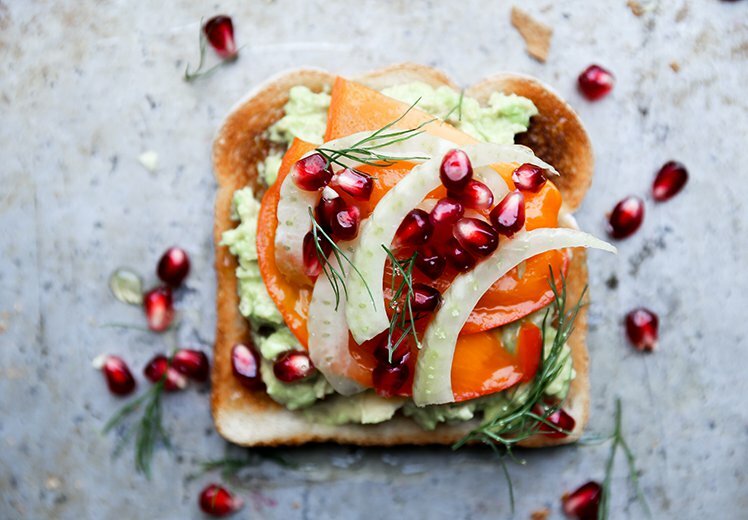 Top with a few slices of persimmon and fennel. Then sprinkle with the fennel fronds and pomegranate seeds. Drizzle with honey. Serve and enjoy.